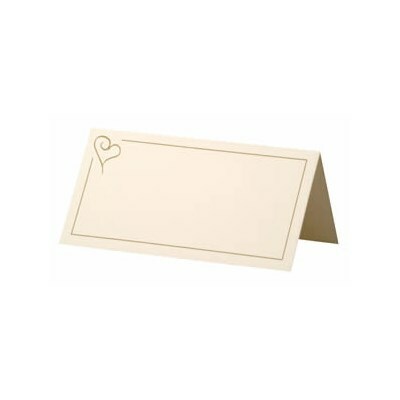 Understated, chic place name cards, part of the Contemporary Heart range. Made from crisp card in a delicate ivory hue, these cards feature a pretty heart design in the top left corner and simple gold edging. An elegant take on a wedding essential.